When two beautiful things come together, it creates another dimension of aesthetics that the human eye will perceive. 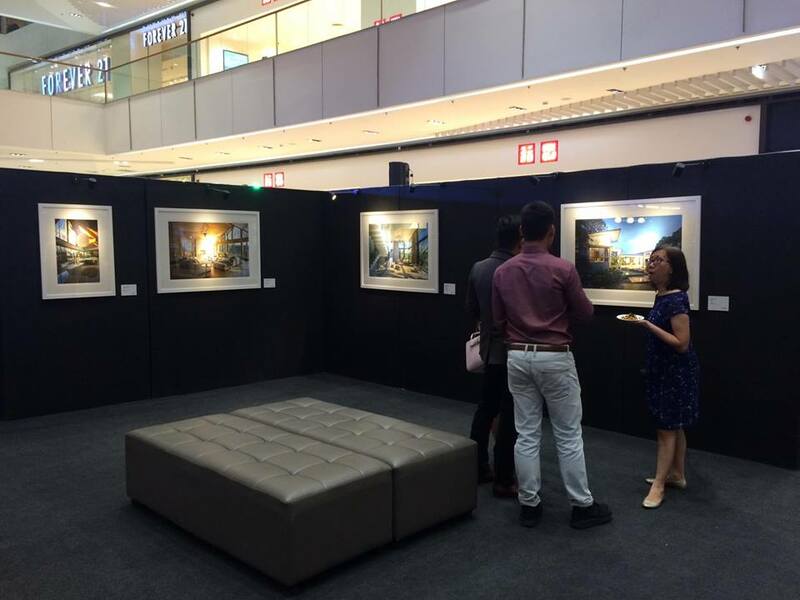 Such as the exhibit recently held at Taguig. It's a mix of two kinds of art. Architecture and Photography is such an unbeatable tandem. 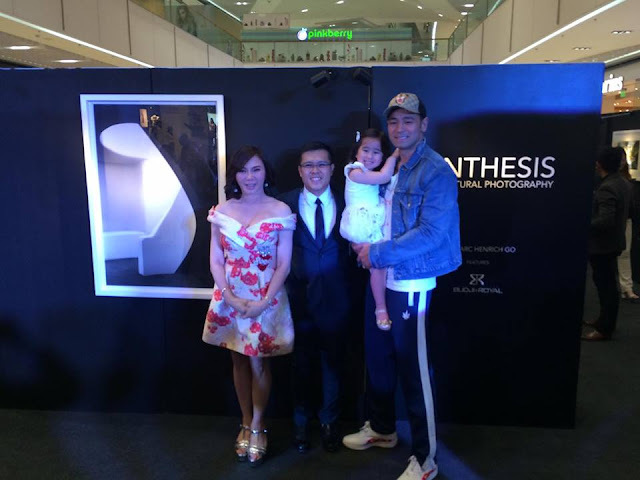 Showcasing the harmony between two arts, Synthesis features both the talent of Marc Henrich Go, and the worksof renowned architecture and design firm Budji+Royal, underscoring the intuitive collaboration of creative minds. A multi-awarded photographer, Ar. Marc Henrich Go is a talented lensman who has won numerous competitions and completed many international commissions. 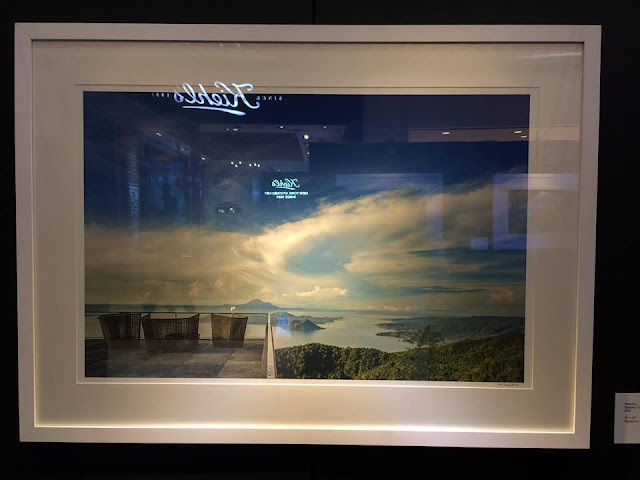 Specializing in architectural, travel, and commercial photography, his works have been featured in the covers and pages of major publications and magazines such as the Philippine Tatler, People Asia, Bluprint, and Cocoon. He recently topped the January 2018 Architect Licensure Exam. 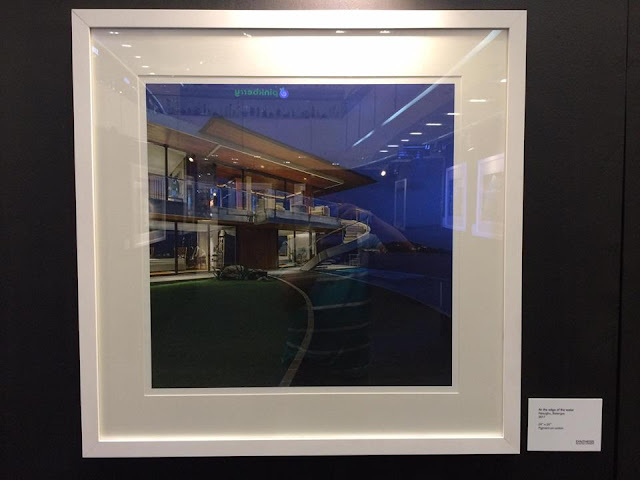 Being both an architect and photographer, his approach is a fusion of both professions that enables him to capture the essence of architecture and design through his own extraordinary perspective. Jollibee, the Philippines' number one fast-food brand, brings its customers exciting lifestyle activities partnered with the best on-the-go snack, Jollibee Tuna Pie. Jollibee celebrates the first of summer by treating its fans to exclusive fun-filled indoor cycling classes. Indoor cycling, also called 'spinning' is one of today's trendiest workout that utilizes high-intensity interval training (HIIT) on a stationary bike. The free sessions start with a quick Cycling 101 and other important tips and tricks on the bike to help prep participants for the intense workout. The perfect partner to this fun workout? Jollibee Tuna Pie, of course! 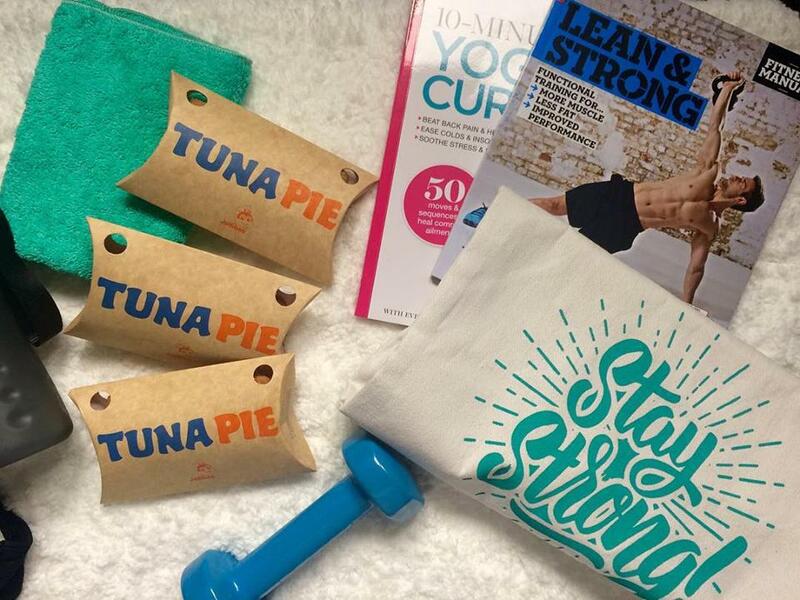 With its cheesy, creamy tuna filing, in a crispy golden pie crust, Tuna Pie is definitely the best post-workout treat! Jollibee opens its free indoor cycling sesions on March 9 and 16, 2018, together with several fitness and lifestyle influencers. 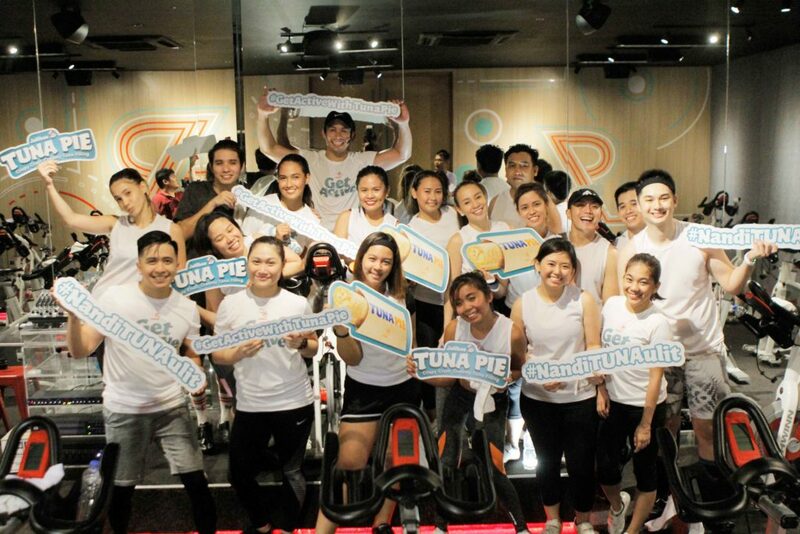 Everyone can expect more fun and exciting activities with Tuna Pie this season. Available for dine in, delivery, drive thru or take-out transactions for only P45.00 (solo), Jollibee's Tuna Pie can also be enjoyed with a regular drink for P59.00 with a drink and another meat-less favorite, the Jolly Crispy Fries for only P89.00! Trio packs for sharing-or hoarding are also available for P130.00. For more information on Jollibee's products and latest promos, like the Jollibee Philippines Facebook page and follow @Jollibee on Twitter and Instagram. 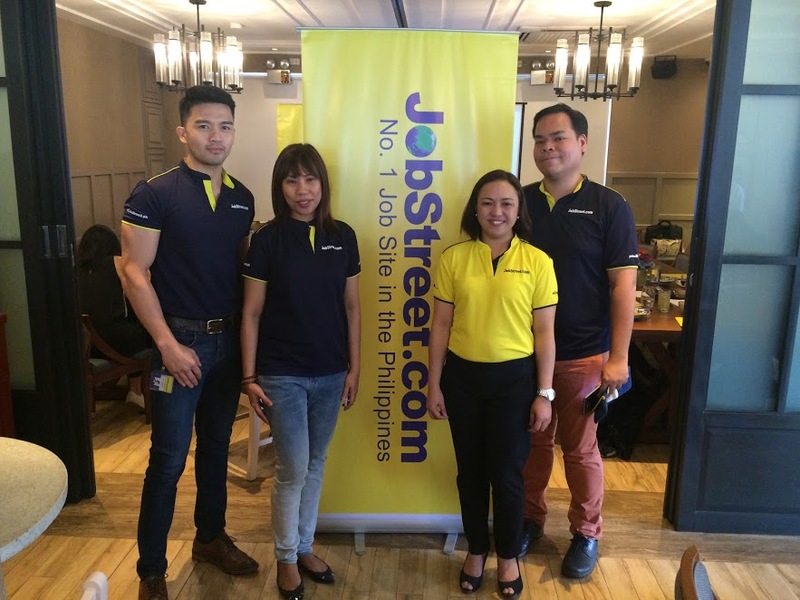 Manila, February 27, 2018 2018 is supposed to be a good year in the Philippines job market, with those employers and talents expressing an optimistic view in relation to their hiring and job search activities, according to this year's JobStreet.com job outlook report. "While more candidates see themselves to be participative in the job market this year, companies are also foreseeing robust hiring activity, which means the competition to attract and retain top talent will be more vigorous. 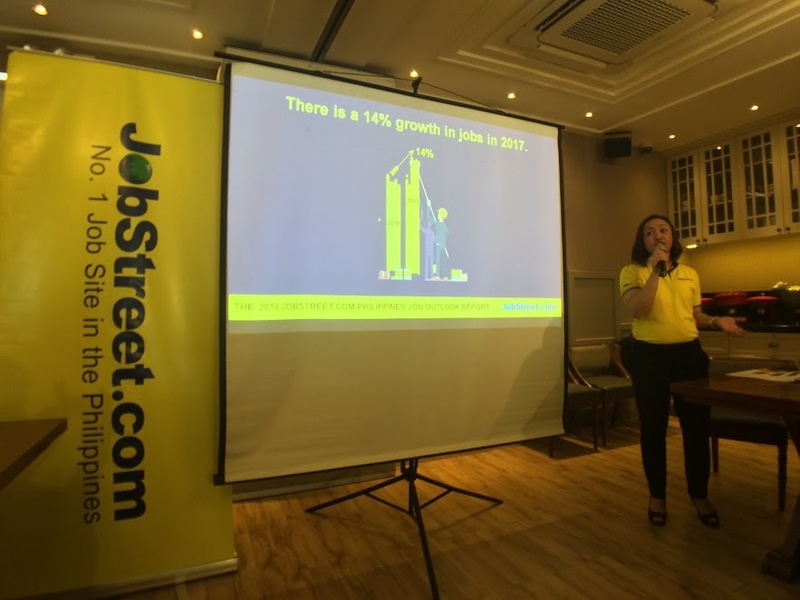 What will make or break employers this year is how attentive and primed they are to address the emerging needs of employees," said Jobstreet.com Philippines country manager Philip Gioca. Modernizing legacy banking infrastructures. With blockchain technologies, banks can increase efficiencies by addressing the settlementk process across the board. Speeding payments, trading of all financial instruments, and automatically outputting regulatory information will massively disrupt the industry and shift labor into better customer service. LBC and the Philippine National Police Highway Patrol Group (PNP-HPG) has renewed another fruitful year of partnership which shows how private companies and government can work together in making a difference in the lives of the publics they serve. Recently, the two groups reinforced their Memorandum of Understanding on the importance of road safety and security through "The Disiplinadong Driver- Road Safety Marshal Orientation" held at the Camp Crame Grandstand last February 3, 2018. Led by LBC Senior VP Oliver Valentin and HPG Director Atty. 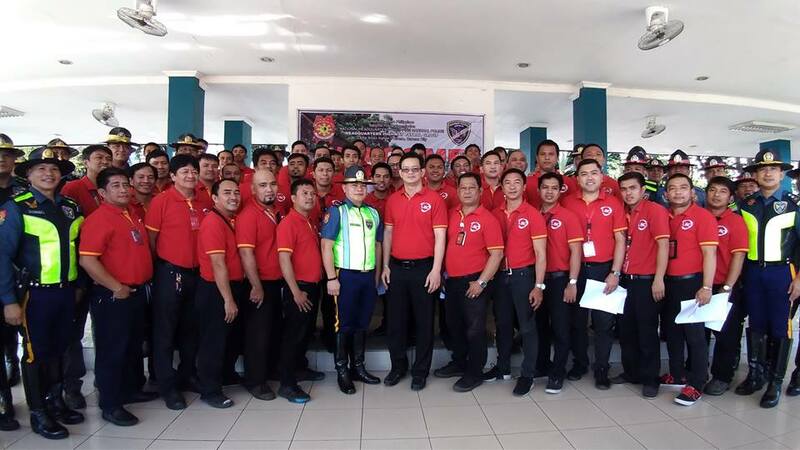 Arnel Escobal, 40-50 LBC delivery managers, supervisors, drivers, and riders underwent training with the HPG-PNP staff. Here, they were taught how to follow street signs; observe proper road etiquette; detect and avoid danger on the streets; and, gear up for each and every delivery. In exchange for the valuable instructions given to them, LBC provided the classrooms for training. 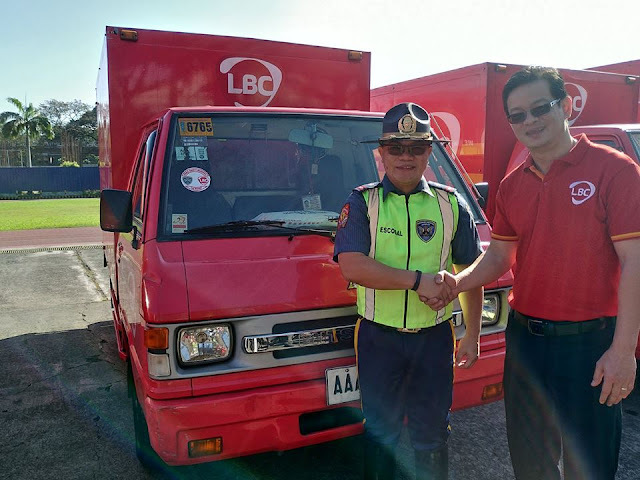 LBC says the partnership is essential to their operations because they move almost 96,000 parcels and cargoes daily through their 1,800 combined fleet of motorcycles and trucks. In 2017, HPG was able to train 560 NCR-based drivers of LBC which significantly reduced the number of recorded vehicular accidents. Highlight of the event was the oath-taking of LBC employees who undertook the drills and the ceremonial posting of “Road Safety Mashal” stickers on LBC-marked delivery vans & motorcycles. Valentin is proud to say that LBC is the first Corporate Supply Chain recognized by PNP-HPG as Road Safety Ambassador for "Ang Disiplinadong Driver". He says: “We are well aware of our civic duty to adopt and adhere strictly to public safety policies. By advocating safer roads, we want to impart the message that entities can do their job both successfully and responsibly, if they set their minds to it”. SM Skating, a major patron in the country’s ice sports program, has vowed to continue developing the talents and skills of young, aspiring athletes, to keep alive dreams of qualifying and making a strong finish in future winter Olympics games and other tournaments. SM Skating executives reiterated their commitment to provide training and offer world-class ice skating facilities to Filipino ice athletes after welcoming home figure skater Michael Christian Martinez at the Olympic-size rink inside the SM Mall of Asia in Pasay City. “We are grateful for the sacrifices made and dedication shown by Michael Martinez in the just concluded winter Olympics. He has become not only a source of pride but also an inspiration especially for the budding ice athletes who, I believe, will carry our country’s colors in future international competitions,” said Herman Emiliano Medina-Cue, SM Lifestyle Entertainment Inc. chief operating officer. Martinez represented the country in the 2018 Winter Olympics in PyeongChang, South Korea where he came up short in his bid to advance in the men’s single figure skating event. Despite the setback, the winter Olympian is honoured to be given the chance to compete once more in the global ice tournament. “Competing at that level of the winter Olympics, in the company of world-class figure skating talents, and performing in front of the world, is already a reward. I am honoured to have represented the country in that tournament and hope I have become an inspiration to the next generation of ice athletes,” said Martinez. Martinez was welcomed home by his family, supporters and fans. He was also presented with a certificate of recognition for his efforts in representing the country and heralding ice skating in the Philippines to new heights. Martinez had a relatively short time to prepare as the Philippines was only advised and allowed to compete as a first alternate after Olympic qualifier Sweden withdrew in January. Prior to his return to the winter Olympics, Martinez won the silver medal in the 2017 Southeast Asian Games. SM Lifestyle Entertainment Inc. has been supporting the development of Filipino ice athletes, including the Southeast Asian Games gold medal-winning Philippine Ice Hockey team, and various ice sports in the country by implementing the SM ice skating sports program and maintaining Olympic-size ice skating rinks in Metro Manila and Cebu City. Some of the young athletes who train at SM Skating are figure skaters Jules Alpe, Alisson Perticheto, Samantha Cabiles, and Sofia Guidote. The ice skating rink at the SM Mall of Asia can host not only recreational and competitive figure skating and speed skating events but also ice hockey games. Located at the main mall’s third level, the 1,800-square meter rink boasts of complete facilities for hockey games such as a digital scoreboard, players’ boxes, scorekeeper and penalty boxes as well as two locker rooms with hot and cold shower. Visitors can conveniently watch practices, training, exhibitions, shows, games and tournaments at the 200-seater stands located around the rink. Those wanting to take a quick bite can head to the snack booth for hotdogs, burgers, nachos, popcorn, coffee cakes, pastries and ice-cold beverages. The ice skating rink also has a spacious lobby and multi-purpose rooms for sports training, meetings, and social functions while a clinic provides immediate first-aid assistance for any minor sports-related injuries. Starting as a leisure rink built by the inspired Henry Sy Sr. whose interest was piqued by the grace and class of figure skating, the SM Skating Rink possesses the only Olympic sized ice skating rinks in the entire country. Aside from being a venue for events and leisurely skating, the SM Skating Rink also provides lessons for Figure Skating, Ice Hockey, and other sports on ice. Proving right of Henry Sy Sr.’s vision of a tropical country excelling in a winter-based sport, the SM Skating Rink has been home to world class figure skaters, such as Michael Martinez, who internationally compete in prestigious championships such as the Winter Olympics in Sochi. This year, the SM Skating Rink will introduce more sports and activities to learn on the ice, and events that will cater to the existing and new winter-based sports. Min Yasmin, Malaysian RnB singer, released her album "Pangarap"
Min Yasmin is a powerful and soulful Malaysian RnB singer. 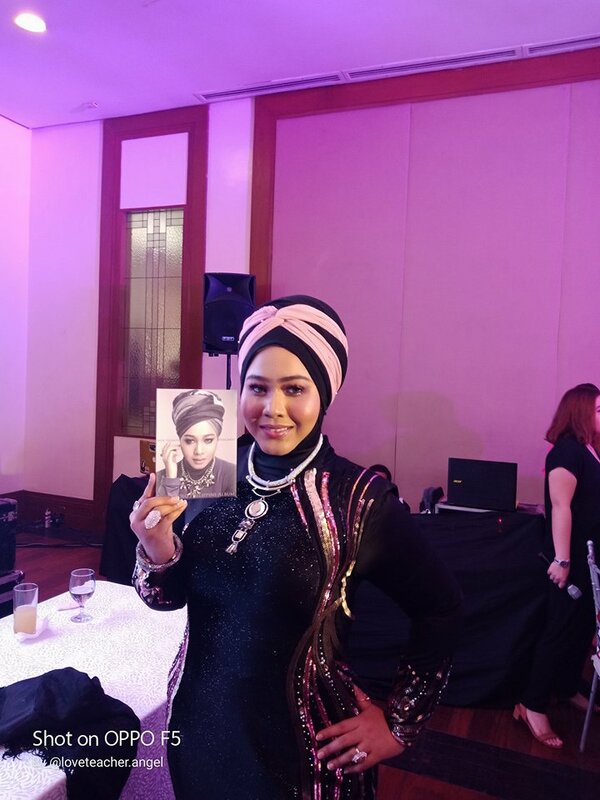 She is also better known as a Soundtrack Singer, appearing in numberous Malaysian OSTs, teleseries & movies. Min launched her first successful international concert in Zamboanga City on March 2017 and in Tawi-Tawi on August 2017, all in the Philippines. Julkefar is a well-known award-winning composer and producer in Malaysia. He is the managing Director of MilleniumArt and Julfekar Music. He traces his roots to the Philippines by having a Tausug maternal mileage, which gave his songs a warm and heartfelt Filipino flavor. Through his works, Julfekar spreads his wings across the Philippine music realm, thereby reconnecting his Tausug roots which made him fell in love with words and music in the first place. 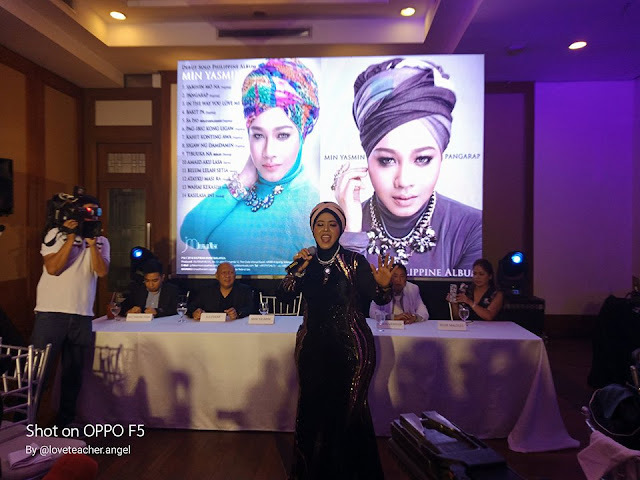 Julfekar made history by producing '2 VOICES', which is the first-ever full-album collaboration between a Malaysian singer (Min Yasmin) and a Filipino singer (Nikki Bacolod). 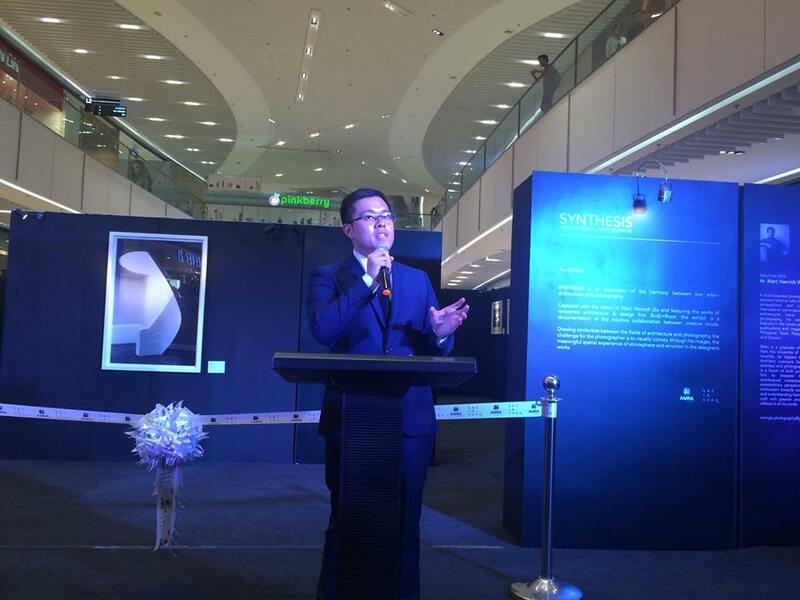 It was launched in Philippines last October 2015 and was a groundbreaking success. The resulting hit single, 'SA IYO' reached the Top 10 charts and stayed for three months in LOVE Radio, YES FM and several other Philippine radio stations. 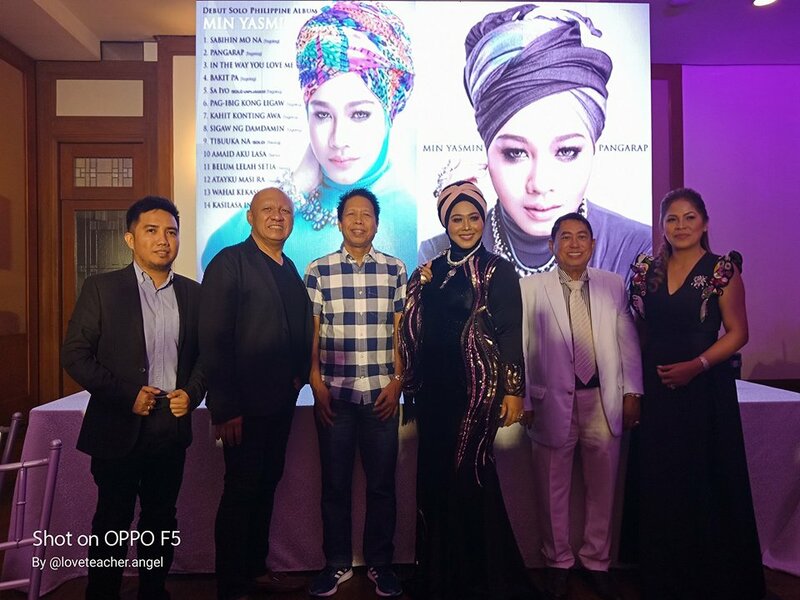 A follow-up album for Min Yasmin will be released in in the latter half of 2018. The international ‘PANGARAP' debut solo album will contain 14 songs, mainly written in Tagalog. The other songs will be rendered in Filipino minor languages Tausug & Sama Bajau, in addition to a couple of English and Malay songs. To seal its success, producer Julfekar collaborated with Philippines’ top hitmaker and producer, Vehnee Saturno, producing a powerful version and arrangement of the hits ‘Bakit Pa’ and ‘Kahit Konting Awa,’ Julfekar also collaborated with Filipino lyricist Roosevelt ‘Raz’ Itum for the Tagalog songs. The album has already been fully-recorded and will be released in both Malaysia and the Philippines. It is expected to become a major hit. We really hope Filipino will support us and our music. MIN YASMIN has been awarded as an 'Outstanding Asian Singer 2015' by Gawad Sulo Ng Bayan Awards and was also chosen as a 'Music Ambassador 2015'. This award was given in Manila on November 2015. Now on its second year in Filinvest City, the premier lifestyle destination in southern Metro Manila, plays host once again to the much-awaited Wanderland Music and Arts Festival will happen again on March 10, 2018 at its Open Grounds in Alabang, Muntinlupa City. The venue provides the perfect backdrop for Wanderers to enjoy its lush greenery. Its vibrant and modern atmosphere complements the hip and festive Wanderland Music and Arts Festival. Enjoy good music, art and a healthy dose of the outdoors activities on this event. Guests will enjoy exciting performances from an impressive line-up of entertainers, including international artists Kodaline, Daniel Caesar, FKJ and Lauv; and local indie artists Jess Connelly, Quest, IV Spades, Ben&Ben, Basically Saturday Night and Carousel Casualties. Wanderland will also feature art installations and live art performances by young and talented muralists and illustrators Sam Bumanlag, Ip Pining, Cholo Cardenas and Humbly. For more information, visit Wanderland’s web site, http://wanderlandfestival.com/. The collection is available in SM Aura Premier, Shangri-la Plaza Mall, Ayala Center Cebu. As the head of the family, fathers work tirelessly to provide their households with a better way of living. 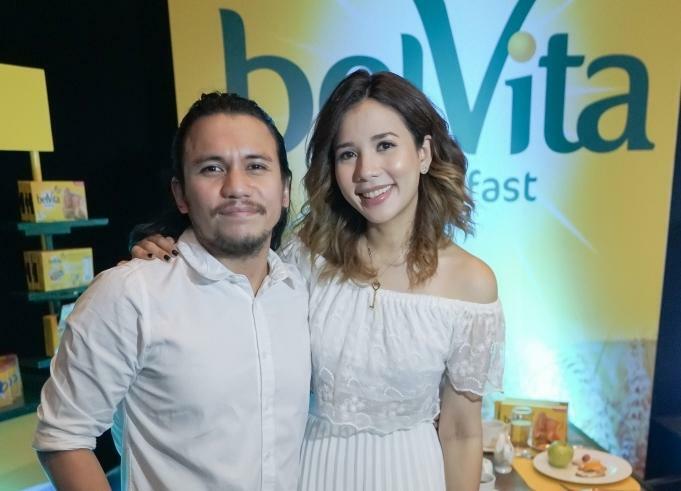 But more than that, achieving an upscale lifestyle where life’s pleasures are within his reach is what drives a millennial dad to go through his daily grind. 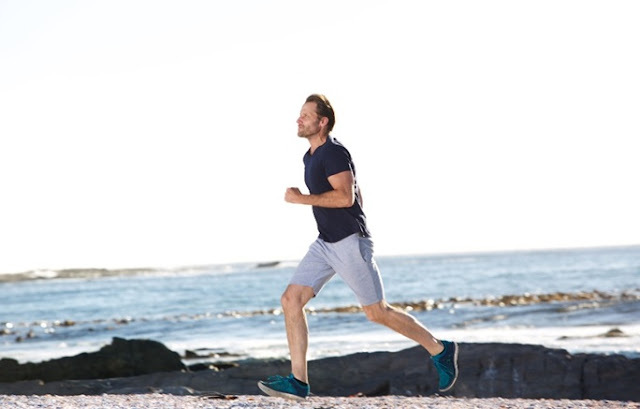 For the outgoing dad, it is important to maintain a high level of purchasing power to answer to his interests in travel, sports, cars, technology, business, or health. Luckily, GetGo and its partners support his rich ways, making daily expenditures more satisfying with points that can be used to book free flights. With GetGo, hardworking dads can thrive on the feeling of pursuing his dreams and experiencing the luxuries that life offers. From travelling around the world and visiting uncharted places, to having the latest gadgets and staying on top of trends, GetGo enables people to upgrade their active lifestyle. Turn everyday spend into free flights as each P30 spend with Cebu Pacific GetGo Platinum Credit Card by UnionBank, 3 Citi Rewards, 5 BPI Express Credit Real Thrills Rewards, 7 Asia United Bank Rewards Points, 12 Bank of Commerce Rewards Plus Points, 3 RCBC Bankard Airmiles, 2 BDO Elite Points, or 3 BDO Regular Points earns you GetGo points for more adventures. Take the family on road trips and weekend getaways with GetGo’s partners. Load up with Petron and drive kilometers away from the city to escape the busy life and enjoy a quiet and relaxing vacation. Every 2 Petron Value Card Points earned from filling up can be converted to 3 GetGo points. In planning out-of-town trips, fathers can book their accommodations at any of GetGo’s hotel partners. Arrange a family suite and appreciate picturesque local sights with Taal Vista Hotel, Pico Sands Hotel, Radisson Blu Cebu, Park Inn by Radisson Clark, and Park Inn by Radisson Davao and earn up to 500 GetGo points. Or take a weekend breather and organize a peaceful stay at Summit Galleria Cebu, Summit Circle Cebu, Summit Hotel Magnolia, and Summit Ridge Tagaytay and collect 2 GetGo points for every P100 spent on bookings. The working father can also gain easy access to a number of financial services that can power his lifestyle. Every two (2) Cebuana Lhuillier 24k Rewards Points is equivalent to 3 GetGo points that can be accumulated to fly for free. Likewise, the outgoing dad can use his smartphone to surf and visit online shops like Lazada to easily find the hottest tech products and purchase it with Dragonpay credits. Making his shopping even more rewarding, GetGo rewards him with points that can be collected for free flights for every P10 spend with Lazada and every successful transaction with Dragonpay via its mobile app. Fathers can also provide comfortable everyday living for the family with Ring Rob Concierge for Robinsons Residences. Every P200 spent on services is equivalent to 1 GetGo point. Get the newest appliances and furniture at Robinsons Department Stores and collect GetGo points for every P100 spend. Visit any Robinsons Supermarket, Robinsons Selections, and Robinsons Easymart branches for the freshest grocery choices for the family and earn points for free flights for every P200 spend. So what are you waiting for? Step up the way you live and treat yourself to the luxuries dads deserve with GetGo and its partners. Not yet a member? Visit www.getgo.com.ph for more information on how to join. February is the month of love, and millions of people across the Philippines - and around the world - will express their feelings and celebrate the special relationships they have with their loved ones, through the exchange of cards and gifts in a tradition that can be traced back to the medieval era. Also this year, in China, many more are likely to say ‘I love you’ to a girl named ‘Xiaoice’, and she is an Artificial Intelligence-powered chatbot. Thanks to AI, we are currently witnessing a paradigm shift in technology, moving from a world where we have to understand computers to one where they now understand us and our intent. And this is not only revolutionizing how we live, work and play; it is upending our entire relationship with technology. This disruption is brought about by the next big shift in computing, one that is fueled by advances in AI and built around a behavior that is the most natural of all to humans — conversations. Conversational AI, such as chatbots, heralds a new era where digital experiences can now mirror the way people interact with fellow humans. And there is much to love about this new development. For Microsoft, our vision of enabling computers that can see, hear, talk and understand us really began 25 years ago when our founder Bill Gates created Microsoft Research. And on that journey, we have recently passed some significant milestones that, only a few years ago, would have seemed impossible to imagine. In 2016, Microsoft became the first company to reach human parity in speech recognition, enabling a computer to transcribe conversational speech as well as a human does. Only last month, our researchers created technology that uses artificial intelligence to read a document – and answer questions about it – as well as a human being. Such milestones are vital to the adoption and use of computers for everyone; because when computers can speak “human”, every human can speak with computers. These kind of advancements are the result of the deep engineering skills and unique technical capabilities of our team at Microsoft Research, who have received many prestigious national and international honours, including the Turing Award, considered the highest distinction in computer science. Our work with chatbots expanded rapidly with the launch of Xiaoice in China. This intelligent, natural-language bot is programmed to behave like an 18-year-old girl who is emphatic, humorous and affable. The conversations that she has with users range from advice about what activities to do during the day to relationship feedback. Using advanced machine learning algorithms, her responses mirror what a teenage girl would tell her friend, sometimes with sarcasm included. Xiaoice can also speak with people over the phone and use streaming video to detect emotions and engage in conversations based on the person’s expressions. Today, she has conversed with more than 100 million users, averaging approximately 23 exchanges per session. This is nearly 10 times the industry average. In fact, it has been estimated that 25% of users have already declared their love to Xiaoice. But that is not all. Xiaoice is also the first AI chatbot to have a real TV broadcasting job on Dragon TV, one of China’s biggest TV stations, with a viewer population exceeding more than 800 million. Building on the success of Xiaoice local variations are now available in four other countries — Rinna in Japan and Indonesia, Ruuh in India, and Zo in U.S.
Microsoft launched Rinna in Japan in 2015. Modelled after a school girl, Rinna has today spoken with 25% of the country’s population. She is also powering a chatbot that is serving an entire town in Japan. Modelled after a smart and adorable 7-year-old boy, Shibuyu Mirai is currently helping residents of and visitors to Tokyo’s busy Shibuya district access local services and information. Shibuyu-kun is serving the community so well that the Shibuya municipal government has recently granted him residency status, a world’s first. Today, many of the conversations revolving around AI are mired in trepidation and alarm – ranging from job displacements to the widening of social inequalities. However, it is evident from these chatbots that there is much to love about AI, and it has brought about both functionality and emotional connection to millions of people around the world. Beyond conversations and companionship, AI also has immense potential to offer lasting, positive impact on the world by driving global economic and social progress. From the front lines of education to environmental advocacy to healthcare, AI will be vital in creating technological breakthroughs for humanity and facilitating inclusive solutions that will enable every person and organization on the planet to achieve more. For example, Microsoft’s recent AI for Earth initiative builds on our commitment to use AI technology to amplify human ingenuity and advance sustainability around the globe. Through ongoing projects and partnerships, we are striving to solve some of the most pressing challenges of our time, including the health of our planet. One of these projects is Farmbeat, which strives to address soaring food demands while dealing with limited amount of arable land. This initiative leverages existing connectivity infrastructure as well as the power of the cloud and machine learning to enable data-driven farming. This provides farmers with easily interpretable insights to help improve agricultural yield, lower overall cost, and reduce the environmental impact of farming. AI can also be used to create a more inclusive future by empowering people with disabilities. Seeing AI is a free app designed by Microsoft to make the visual world around us more accessible for the 285 million people in the world with low vision. By harnessing the power of AI, this app is able to perceive and recognize a wide spectrum of visual cues – from people to emotions, from barcodes to handwriting – and translate them into audible descriptions. By turning the visual world into an audible experience, this app is making the world more navigable and richer for those with low vision. These examples are just a few of the positive applications of AI; the benefits it can bring to our world and our lives are multifaceted and countless. At Microsoft, we have been investing in the promise of AI for more than 25 years, and we are optimistic about the opportunities that AI creates, and how it can amplify human ingenuity to create a better future for all. However, the road to a future powered by a partnership between intelligent machines and people will be a long, and sometimes, challenging one. There will be complex questions and broad societal concerns that we will need to address as we press on, including the ethical usage of AI and its impact of employment. Addressing these challenges will require trust, integrity, faith and listening to one another – the same fundamental building blocks that are needed to create a lasting and positive partnership with another person. Hiyas Books Help Kids to Be Helpful and Healthy?